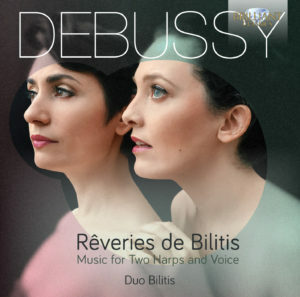 “…A sensuous recital of rare repertoire by an anniversary composer for the unusual combination of female voice and two harps. 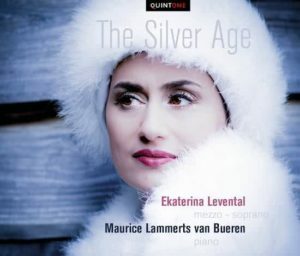 Ekaterina Levental sings music by Sergei Rachmaninoff, Peter Tchaikvsky and Modest Moussorgsky. The pianist is Maurice Lammerts van Bueren. This CD is chosen as ‘CD of the week’ by Radio 4 in oktober 2017. The CD is released in september 2017. Music by Maurice Ravel (Introduction et Allegro), Xavier Montsalvatge (Cinco Canciones Negras), Enrique Granados (Valses Poéticos) and Manuel De Falla (Siete Canciones Populares Espagnolas). 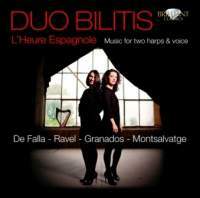 Arrangements for mezzo soprano and two harps by Duo Bilitis, Carlos Salzedo, Ekaterina Levental and Eva Tebbe. 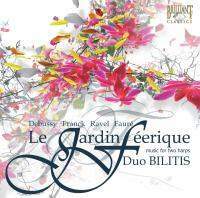 Music by Claude Debussy (Children’s Corner), Maurice Ravel (Ma Mere L’Oye), Gabriel Fauré (Dolly Suite) , Cesar Franck (Prelude, Fugue et Variations). Arrangements for two harps by Eef van Breen, Eva Tebbe, Dewey Owen and John Escosa. French (piano) music makes quite suitable arrangements for the harp, and even better for two harps. Their refined sound combined with both clarity and a certain opaqueness makes them an ideal vehicle for the ‘typically French’ atmosphere. This duo of young Dutch harp players has chosen a program of well-known French piano repertoire, partly for four hands. It consists of arrangements of Debussy’s Children’s Corner, Fauré’s Dolly Suite and of parts Ravel’s Ma mère l’Oye, together with Franck’s Prelude, fugue and variations. Both harpists, Ekaterina Levental and Eva Tebbe, prove their point convincingly. This music suits the harps to the bone, and both musicians play their instruments with all the necessary charm and intensity. The result is a delightful CD with well-known music in a different attire. Ekaterina Levental sings the role of Melike in this opera. Say I am You (2012), a world premiere co-production between IKSV and Rotterdam Operadagen presented by the Istanbul Music Festival, is a contemporary opera by Michael Ellison. It dramatically traces the story of the transformation of Jelaluddin Rumi (Mevlâna) from ordinary scholar to ecstatic mystic at the hands of wandering dervish Shams-i Tabriz. 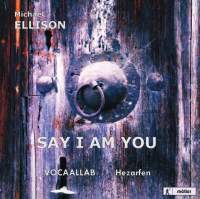 The music of Michael Ellison defies categorisation, seamlessly integrating contemporary and classical sensibilities with traditional influences into a unique and personal idiom. Described as “beautifully crafted, robust and absorbing” by American Record Guide, Ellison’s is a music of colour and contrast, evocative atmosphere and emotional breadth. Inspired by a broad range of musical genres that span classical, Latin, jazz and traditional folkloric music from his native Brazil, Raimundo Penaforte has appeared nationally and internationally as a composer and performer. His works have been performed in Europe, Canada, Japan, New Zealand, Australia, South Africa, Brazil and the United States at such venues as Municipal Theatre of Rio de Janeiro, Concertgebow, Carnegie Hall, Lincoln Center, The White House and The Kennedy Center. 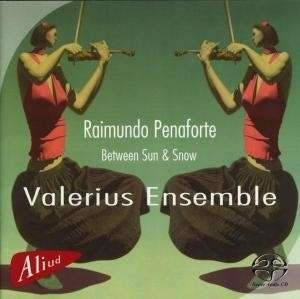 Valerius Ensemble has recorded a full CD featuring Penaforte’s works titled Raimundo Penaforte: Between Sun and Snow. The Valerius Ensemble, founded in 1988, is a chamber music ensemble based around a group of musicians most of whom are also members of the Netherlands Symphony Orchestra. 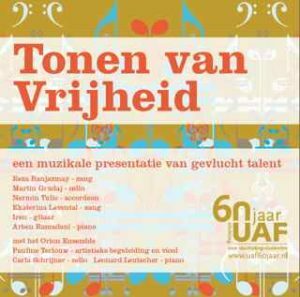 This CD is a coo-production with the organization UAF (University Assistance Fund). Orion Ensemble brings their own arrangements and accompanies 6 soloists from different nationalities. Ekaterina Levental sings the songs by Mikhail Glinka.